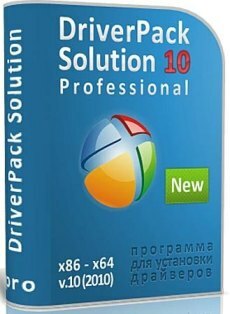 DriverPack Solution 10 – is the latest version of the most popular program to automatically install drivers. This version contains a huge number of new features and optimized for all platforms. And thanks to a fresh database program installs a driver on any computer! * Removed the option “Silent Installation”. This setting is specific to the remote DPInst. Now working in quiet mode. * Fixed index: date and drivers are not always properly indexed. As a result, these drivers are considered too old to be offered for installation. * Prog does not propose to install at least compatible drivers than are already installed in the system (on the principle of priority HWID’ov device). * Removed the advice to use the manual mode. Now, in the main mode used Tan devcon that in manual mode. Drivers Installer Assistant PreFinal 2.7.29 – Assistant to install drivers. The program is designed for quick and easy installation of device drivers on the computer with the installed operating system Microsoft Windows. To install using pre-prepared or downloaded from other sites driver packages, including with our own. Installing drivers is a few clicks of the mouse. When you run the program itself will determine the device installed on your computer and will offer the necessary drivers to install or upgrade. Language: English, Russian, Italian, Turkish, Lithuanian.